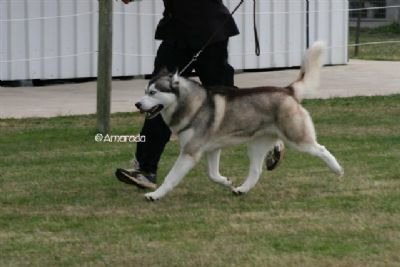 "Whistler is a stunning Silver & White bi-eyed male, who displays outstanding single track movement, correct coat, unbeatable temperament and sound conformation. 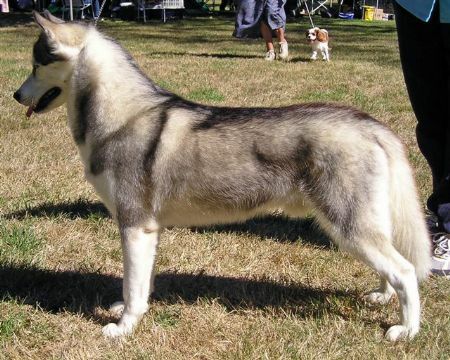 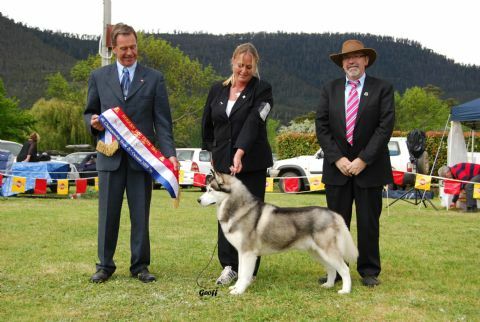 "Whistler" is a Best In Show, multiple Best in Group and Class in Show winner "Whistler" attained both his Australian Ch title & Endurance Test title with ease. 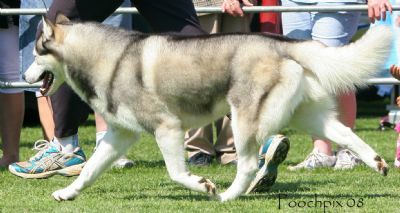 SIRE: CH ICEPOWER APPARITION E.T.